Large deciduous tree with a broad rounded crown. Flowers in September with the early leaves, walnuts ripening in autumn. 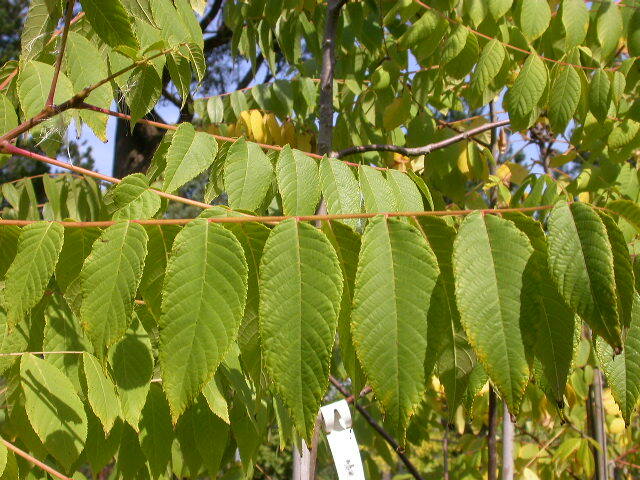 Large compound leaves, dark green above, paler beneath, changing to dull yellow in autumn.